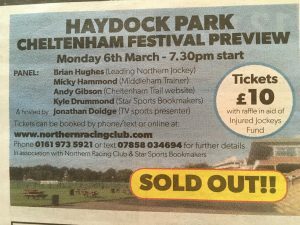 Haydock Park stages its annual Cheltenham Festival preview night this evening, in association with the Northern Racing Club. 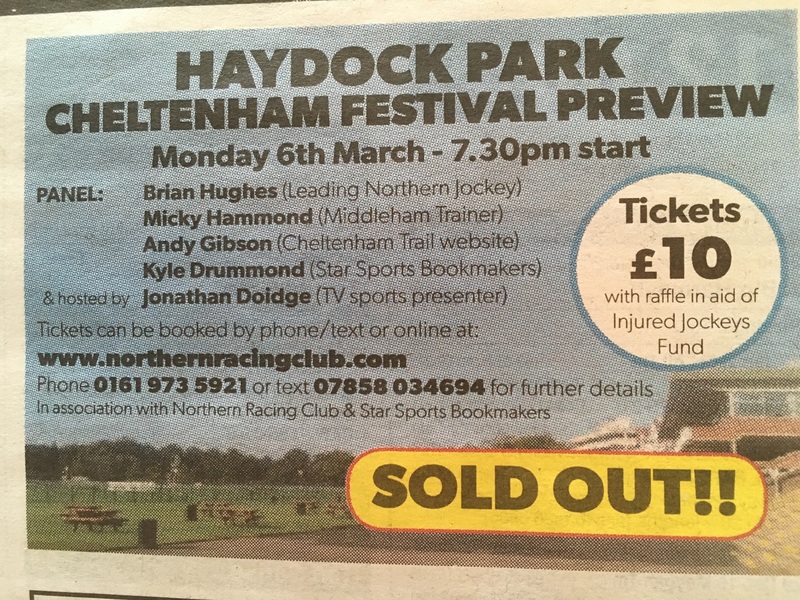 The event is kindly sponsored by bookmakers Star Sports and Jonathan will host the evening, with top jockey Brian Hughes on the panel alongside trainer and former Scottish National-winning pilot Micky Hammond, plus Andy Gibson of Attheraces and the Cheltenham Trail website and Kyle Drummond, who will represent the sponsors. 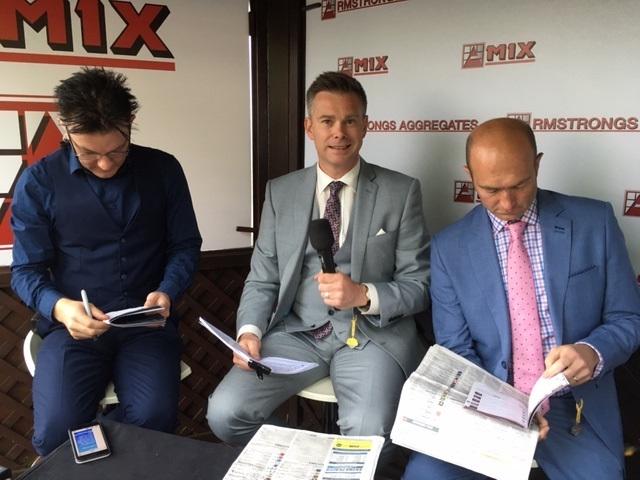 The SOLD OUT signs have gone up, although there are a few places allocated for walk-ups on the night, so if you haven’t got a ticket you may still be able to join in the fun! This entry was posted in Uncategorized on March 6, 2017 by user41773.